With the highest standard of oversight, L&L conducts detailed and thorough reviews of all deliverables. A strong foundation built on internal procedures that assure accuracy with superior quality. The firm also offers expertise in the area of SEC filing reviews. As a firm registered with the Public Company Accounting Oversight Board (PCAOB), we provide our clients with SEC and PCAOB regulatory audits. With our in-depth experience of SEC regulations, we are able to assist clients in maintaining a current status in their SEC filings. The firm also assists in the process of becoming an actively traded public company. Our team takes many of the complications out of the process. No matter what the size of your company is, we have the resources to assist. The SEC reporting environment becomes more complicated as each year passes. L&L stays on top of regulation changes and accounting guidance to better serve its clients. L&L CPAs is committed to providing the highest level of services. Our team stands ready to devote our resources to meeting and exceeding your company’s needs. Regardless of your industry, L&L CPAs, PA, can offer a full range of accounting and auditing services. Professional services for U.S. and Chinese companies. Tracy Luo, a founding partner of L&L CPAS, PA., graduated from the University of North Carolina with a Master’s degree in Economics, with an emphasis in Finance. Tracy has worked with publicly traded companies for over a decade, in a broad array of services, including audits, tax preparation, risk assessment, and financial statements preparation. She stays connected with the latest industry guidance and regulatory changes. Tracy is a member of both the American and Florida Institutes of Certified Public Accountants and the North Carolina Association of Certified Public Accountants. 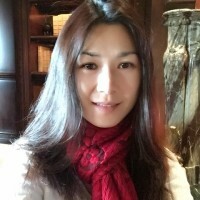 Tracy is knowledgeable in U.S. and Chinese GAAP and is fluent in English, Mandarin and Cantonese. 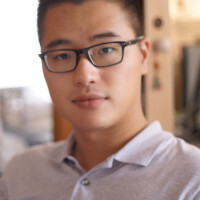 Ke Li, a partner with L&L CPAS, PA, holds a bachelor’s degree from Ohio State University with Majors in Accounting, Finance, and a minor in Economics. Ke is responsible for the execution of audits, compilations, reviews, analysis of internal controls and operations, forecasts, and projections. Ke has amassed decades of practical experience in a fraction of the time by conducting audits of both public and private companies and assisting in the preparation of financial statements and compliance. As an added benefit, he also helps companies identify and implement the proper accounting policies during complex transactions such as reverse mergers and acquisitions. Ke is a licensed CPA in Illinois and North Carolina and speaks English, Mandarin and Cantonese. Gene, an Audit Manager at L&L CPAs, PA, is a graduate of the University of North Carolina with a Bachelor of Science degree in Business Management. Gene has become a leader in his field by working with numerous companies, both public and private, in various industries providing management and financial oversight. 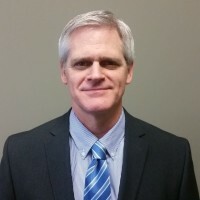 For the past 15 years, he has worked with businesses in all areas of operations, with a primary focus on reporting requirements and financial statement preparation. Gene uses his proficiency in reviews for a start-up to mid-sized publicly traded companies reporting to the Securities and Exchange Commission (SEC). L&L is proud to use his 30 years of experience in aiding and guiding clients in the areas of financial auditing and internal control systems. Website Design By Web Pro Design Group.